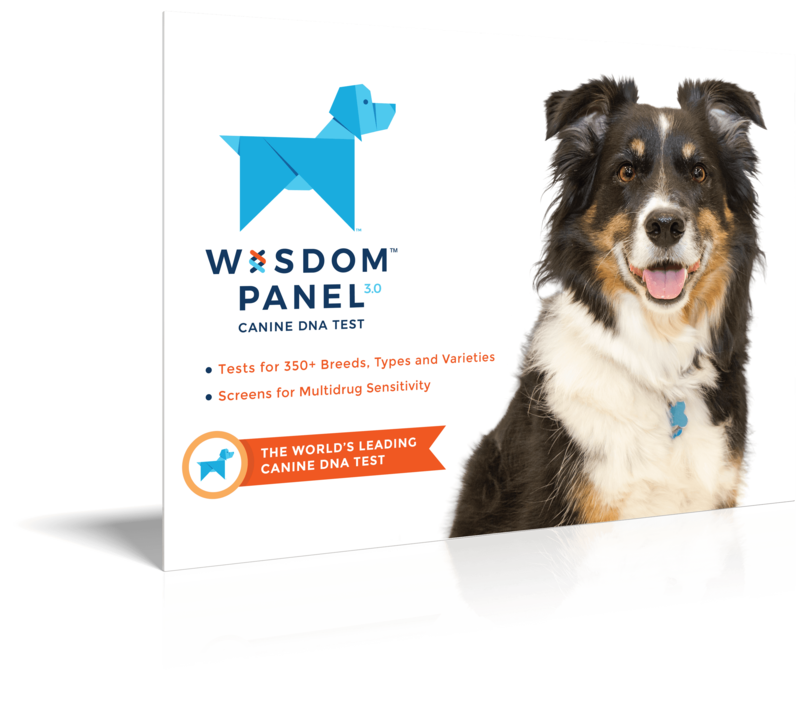 Active, playful, clever, and rambunctious dogs. 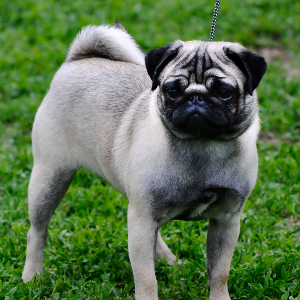 Pugs are usually good with children and often are friendly dogs. Need regular activity, however require less exercise than other breeds. 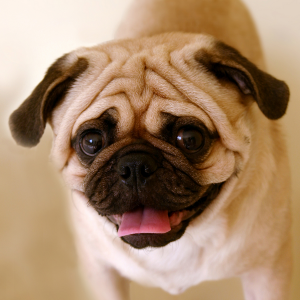 Can participate in dog sports such as agility and rally or competitive obedience. 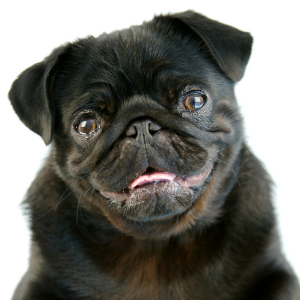 It’s apt that these cute little charmers have such wrinkly faces, considering they are quite an ancient breed. 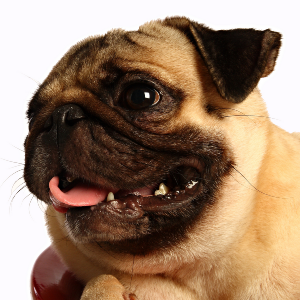 Pugs date back to the Chinese Shang Dynasty, in fact, which reigned from around 1766 to around 1122 B.C. They were kept as pets by Tibetan monks before being exported to Japan. 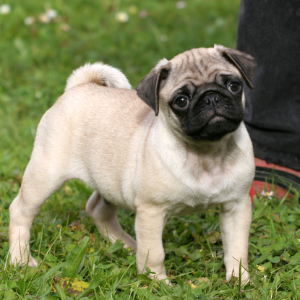 In the late 16th and early 17th centuries, Dutch East India Trading Company sailors brought Pugs back to Holland, where they became the official dog of the Dutch Royal family. Their popularity soon spread to Europe and even Queen Victoria kept and bred them. 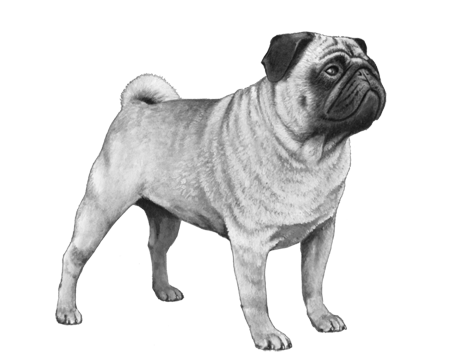 Pugs have travelled far across the globe in their time. Today, we wouldn’t send these playful and affectionate dogs back home for all the tea in China.